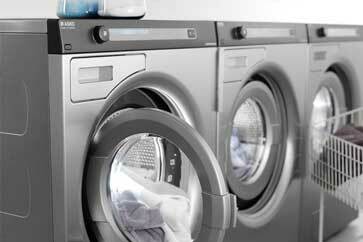 We specialize in Asko dryer repair and Asko washer repair. If your washer brakes or you need it serviced, we can help. Our technicians know everything there is to know about Aso brand from dishwashers to washing machines and dryers. We will be able to diagnose your appliance, find appropriate parts for it and expertly install them. After an appointment with our Asko dryer repair specialist, your appliance will be fully functional. Our team has all the tools and knowledge necessary to do an excellent job fixing your dryer. In fact, our technicians are factory trained and certified. They work fast and do the job right. When your dryer or washing machine is broken, it becomes a disaster for any household. The dirty laundry piles up. You need to call up a reliable, reliable and fast repair service. We are such a service. We have same day appointments available. Our scheduling is flexible, and we give FREE and accurate estimates before any job. In fact, often we can provide an estimate over the phone. Also, we can preorder parts before we go out to your house. This way once we are there we can go straight to work. Our company also offer you FREE service call with repair and 3 yearwarranty on all the parts we install for you. 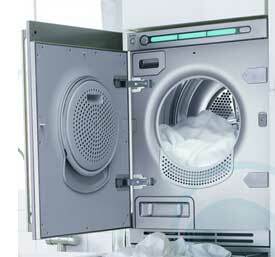 Our Asko dryer repair service is truly convenient and fast. The results will speak for themselves! Asko dryer repair requires special knowledge and special tools. Asko Condenser dryer models, especially, require quarterly maintenance. Those models have two separate filter areas that must be maintained. Not servicing your Asko ventless dryer will result in poor drying performance, and will cost more in the long run. If not serviced and poorly maintained, Asko Dryer repair and service will have a higher cost, in both energy bills and component replacement. We will happily help you with all of your Asko repair and maintenance needs. We have been doing Asko appliance repair for more than 30 years. Our company is family run and family managed. 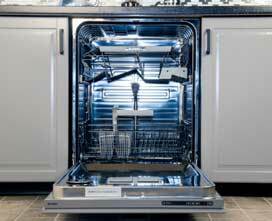 We do appliance repair in Los Angeles County, Ventura County, Marin County, Contra Costa County, Alameda County and Santa Clara County. We are certified in all the major brands such as Bertazonni, Bosch, Dacor, DCS, Electrolux, Fisher&Paykel, Frigidaire, GE, Jenn-Air, KitchenAid, La Cornue, LG, Liebherr, Marvel, Miele, Perlick, Samsung, Siemens, Sub-Zero, Thermador, Traulsen, True, Viking, Whirlpool, Wolf. Our company does both commercial appliance repair and residential appliances repair. With so much experience behind our belt, we keep all of our clients satisfied with our work! For Asko, dryer repair gives us a call, and we will put you on a schedule for a professional dryer repair service. Our technician will be on his way to your house armed with all the tools and equipment necessary for your particular project. He will quickly diagnose the problem and start making repairs right away. He will replace parts and trouble shoot until the issue is solved once and for all. After the job is complete, he will clean up after himself and will dispose of all the old parts. Our technician will hook up your dryer and run it until he is sure that it’s working great. Only then he will turn it over to you. Your Asko dryer will be fully functional guaranteed! 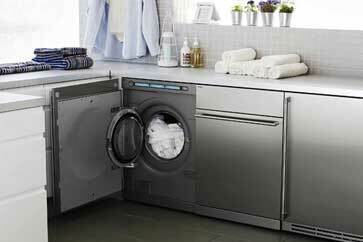 Our company also offers maintenance services for your laundry appliances. We can schedule those services on an annual or biannual basis. They include complete maintenance and diagnostics of your washer and dryer. We will make sure that filters are changed regularly, and very detail is taken care of. With a right maintenance, your Asko washing machine and dryer can last you for years. You will be able to save in the long run on the costs of repair and replacement parts. Why choose us to do Asko dryer repair for you? We are a trusted name in appliance repair. We have been in business for more than 30 years, and we know everything there is to know about Asko brand appliances. With professional repair and maintenance, your Asko can last you for yours. Our company can help you with this. Our technicians are all factory trained and certified. They will do an excellent job repairing your dryer, and you will be happy with the results. Also, you will be pleased with how quick and convenient your service appointment is. We work hard to keep our customers happy. In fact, customer satisfaction is our number one policy! If you are looking for truly professional Asko dryer repair, please call us at 925-265-7782 in East Bay or 628-214-0064 in Marin County. You can also fill out our short contact form. We will be happy to answer any questions you might have and schedule a convenient appointment for you. Your appliance is in good hands with us! We are number one specialists in Asko washing machine repair. If you have Asko UltraCare™ Family Size Laundry or Asko Pro Series™ Washing Machine that needs repair or maintenance we can help you. Our company specializes in all things Asko. Our team is factory trained and certified to do their work. They are up to date on all the latest Asko technology. We reap all Also models of washers, dryers, and dishwashers. Our team works fast and does the job right the first time because we are highly skilled and have a lot of experience in Also repair. Give us a call, and before you know it your broken washing machine is functional again. You can not find a more trusted and skilled company to do appliance repair for you. We know that having a broken washing machine can spell a disaster to any household, and that is why our customer service is one of the best. We will rush to your aid with all the tools and parts at hand. Same day appointments and flexible scheduling is available. Also, we offer you accurate estimate before any job and FREE service call with all repairs. We try to order parts for you ahead of the appointment saving you time. All you have to do is describe your problem over the phone to us and more often than not we will know what parts to order for you. The parts we order are always high quality and well priced. We have a full 3 yearwarranty on all the parts we install for you. 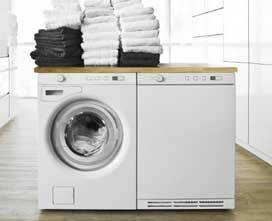 Asko makes reliable, high-performance washing machines. With good maintenance, they can give you years of reliable service. But if you do not professionally maintain your Asko washing machine it will develop drainage problems, error codes throughout the wash cycle and overall washing performance will diminish. Asko washing machines are not easy to replace. They are not a standard size, and they are usually ending up in smaller spaces and cabinets. So, your best bet is to keep your Asko washer operational is to higher professionals like us to do all the maintenance and repairs. Our company will do a full diagnosis on your Asko washing machine, providing a comprehensive report within the same visit. We will order any parts that need replacing such as drain pump, wash motor, inlet valves, etc. Then we will professionally install them. Your Asko washing machine will be fully functional after we get through with it. Our company has more than 30 years of experience repairing Asko as well as other brands of kitchen and laundry appliances. 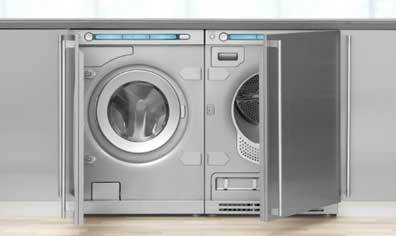 We are qualified to repair all models of Asko appliances such as Asko dishwashers and Asko dryers. Besides Asko appliance repair are also certified to repair Bertazonni, Bosch, Dacor, DCS, Electrolux, Fisher&Paykel, Frigidaire, GE, Jenn-Air, KitchenAid, La Cornue, LG, Liebherr, Marvel, Miele, Perlick, Samsung, Siemens, Sub-Zero, Thermador, Traulsen, True, Viking, Whirlpool, Wolf. We do both commercial appliance repair and residential appliances repair. Give us a call, and our repair specialist will be on his way to your house ready to do the best Asko washer repair service for you. He will have all the parts, equipment, and tools necessary for this particular job. As soon as he gets in, he will diagnose your washing machine and will come up with the best solution how to fix it. Our technicians are very detail oriented, and they work fast. They know their job very well because of all the training and years of experience that they had. Before long our techs will finish the job. After the job is complete, our tech will clean up after himself and will dispose of all the old parts. He will run and test your washing machine until he is sure that it is, in fact, working properly. Only then, will he hand it over to you. You will be totally satisfied with the work we did for you. 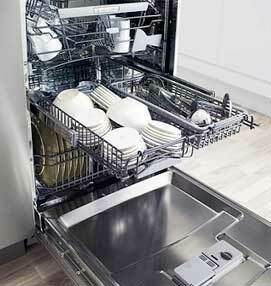 With a right maintenance, your Asko dishwasher can last you for years. All you have to do is take good care of it, clean filter, etc. We offer annual or biannual maintenance services. With this program, we can come and do all the maintenance for you. We will catch a problem before it becomes a big issue. This service is very reasonably priced and in the long run it will save you a lot of time and money. Why choose us to do Asko washing machine repair for you? You can trust us to do the Asko washing machine repair for you because we have loads of experience and knowledge. 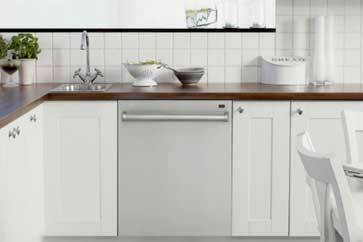 Our technical team is highly skilled and certified in all Asko appliance repairs. We can repair any model of Asko washing machine, no matter how old it is. Also, our customer service is excellent. Our techs are true professionals. They are always polite, respectful and helpful. You will see that our service appointments are fast and convenient. But most importantly, you get a final product that is a fully functional and safe Asko washing machine. If you are looking for truly professional Asko washing machine repair service, please call us at 925-265-7782 in East Bay or 628-214-0064 in Marin County. You can also fill out our short contact form. We will make your Asko appliance functional again! We are number one specialists in Asko washer repair. If you have Asko UltraCare™ Family Size Laundry or Asko Pro Series™ Washing Machine that needs repair or maintenance we can help you. Our company specializes in all things Asko. Our team is factory trained and certified to do their work. They are up to date on all the latest Asko technology. We reap all Also models of washers, dryers, and dishwashers. Our team works fast and does the job right the first time because we are highly skilled and have a lot of experience in Also repair. Give us a call, and before you know it your broken washer is functional again. You can not find a more trusted and skilled company to do appliance repair for you. We know that having a broken washer can spell a disaster to any household, and that is why our customer service is one of the best. We will rush to your aid with all the tools and parts at hand. Same day appointments and flexible scheduling is available. Also, we offer you accurate estimate before any job and FREE service call with all repairs. We try to order parts for you ahead of the appointment saving you time. All you have to do is describe your problem over the phone to us and more often than not we will know what parts to order for you. The parts we order are always high quality and well priced. We have a full 3 yearwarranty on all the parts we install for you. 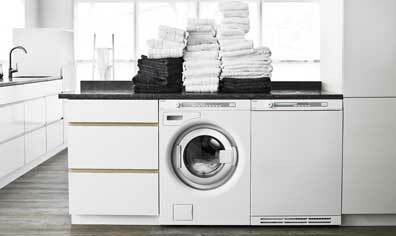 Asko makes reliable, high-performance washing machines. With good maintenance, they can give you years of reliable service. But if you do not professionally maintain your Asko washer it will develop drainage problems, error codes throughout the wash cycle and overall washing performance will diminish. Asko washing machines are not easy to replace. They are not a standard size, and they are usually ending up in smaller spaces and cabinets. So, your best bet is to keep your Asko washer operational is to higher professionals like us to do all the maintenance and repairs. Our company will do a full diagnosis on your Asko washer, providing a comprehensive report within the same visit. We will order any parts that need replacing such as drain pump, wash motor, inlet valves, etc. Then we will professionally install them. We do the best Asko washing machine repair. Give us a call, and our repair specialist will be on his way to your house ready to do the best Asko washer repair service for you. He will have all the parts, equipment, and tools necessary for this particular job. As soon as he gets in, he will diagnose your washer and will come up with the best solution how to fix it. Our technicians are very detail oriented, and they work fast. They know their job very well because of all the training and years of experience that they had. Before long our techs will finish the job. After the job is complete, our tech will clean up after himself and will dispose of all the old parts. He will run and test your washer until he is sure that it is, in fact, working properly. Only then, will he hand it over to you. You will be totally satisfied with the work we did for you. If you want your Asko appliances always to be in top shape, ask us about our maintenance services. We can schedule those services on an annual or biannual basis. They include complete maintenance and diagnostics of your whole laundry including your washer and dryer. We will make sure that filters are changed regularly, and very detail is taken care of. Why choose us to do Asko washer repair for you? You can trust us to do the Asko washer repair for you because we have loads of experience and knowledge. Our technical team is highly skilled and certified in all Asko appliance repairs. We can repair any model of Asko washer, no matter how old it is. Also, our customer service is excellent. Our techs are true professionals. They are always polite, respectful and helpful. You will see that our service appointments are fast and convenient. But most importantly, you get a final product that is a fully functional and safe Asko washer. If you are looking for truly professional Asko washer repair service, please call us at 925-265-7782 in East Bay or 628-214-0064 in Marin County. You can also fill out our short contact form. We will make your Asko appliance functional again!